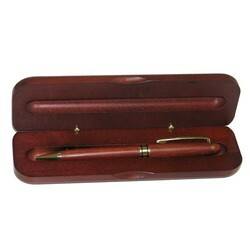 Affordable wood twist action pen in an American made wood box with class. Add personalization to the pen for a truly memorable gift. 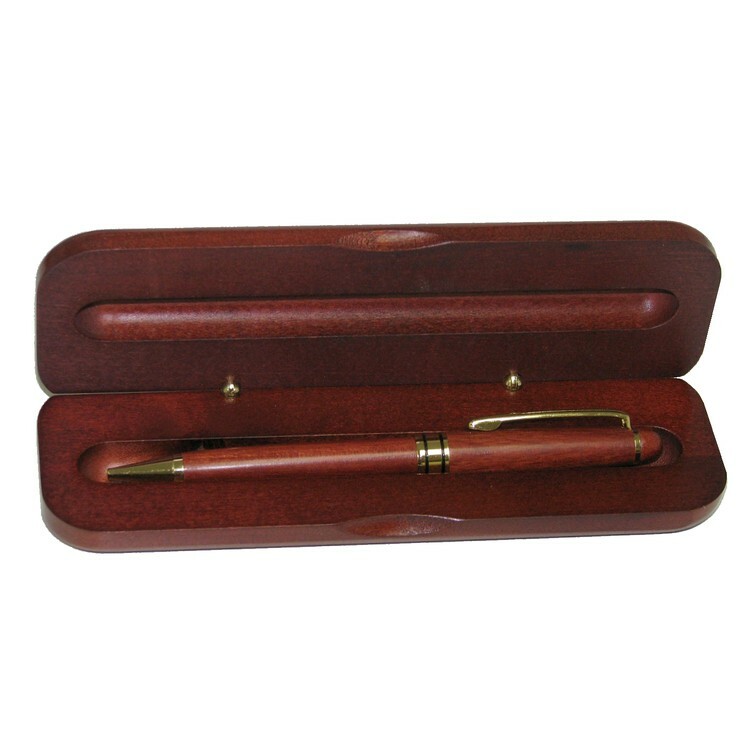 Substitute a letter opener or pencil for the pen at no charge (walnut or rosewood only). 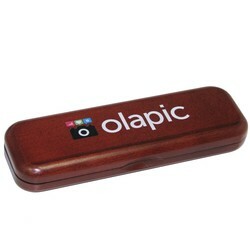 Price includes a one position laser engraving, implement and gift box. Laser Area: 3" x 1" (box), 1 1/2" x 1/4" (pen).